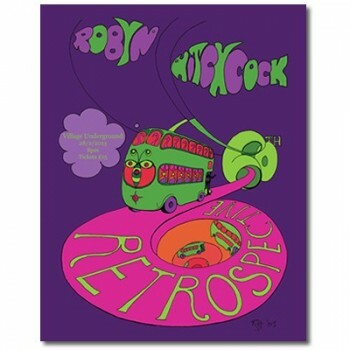 Get the official Robyn Hitchcock 60th Birthday Retrospective poster. Robyn Hitchcock will play a 60th Birthday Retrospective this Thursday at the Village Underground in London (tickets HERE). Can’t be there for this historic showcase? 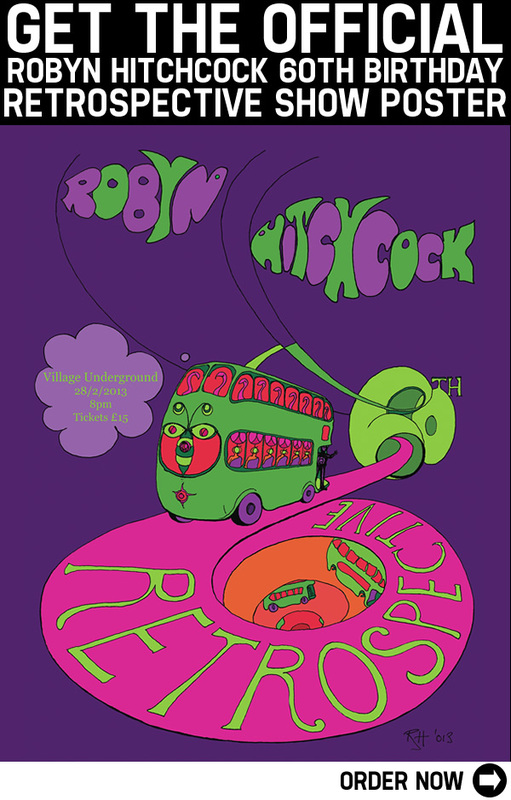 No worries, you can still celebrate Robyn’s big 6-0 with the official show poster designed by Robyn himself – now available at the Yep Roc Store for only $9.99. And for all those who’d like to wish the man himself happy birthday on his real birthday – it’s March 3rd. Robyn Hitchcock’s upcoming release, Love From London, ”celebrates life in a culture imperiled by economic and environmental collapse,” he says. “We are surfing on the momentum of chaos. If a consensus on global warming comes from the people, then the media, the politicians, and the corporations will have to adapt to it. 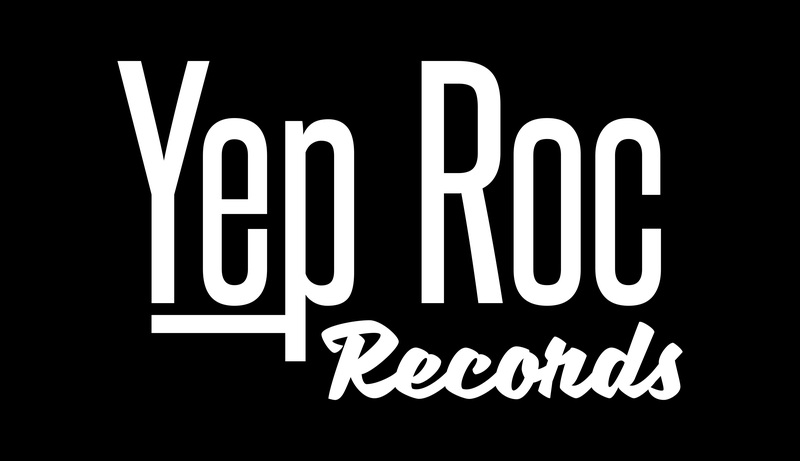 Rock and Roll is an old man’s game now, so I’m staying in it.” The record is set for release March 5, but you can pre-order it HERE from the Yep Roc Store now. 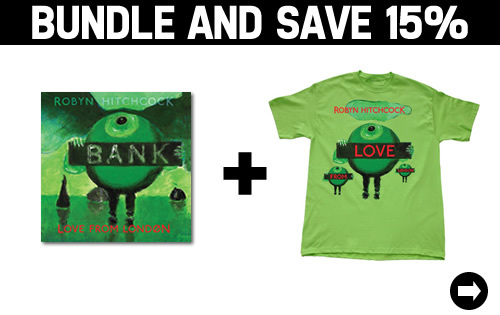 Get Robyn Hitchcock’s LOVE FROM LONDON out today. 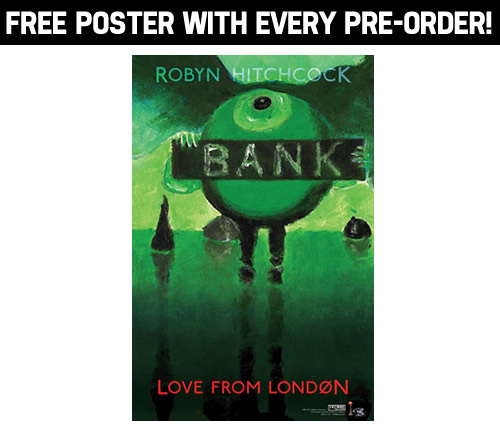 Pre-order Robyn Hitchcock’s LOVE FROM LONDON. A big weekend for Yep Roc at NPR – Weekend Edition features both The Relatives AND Robyn Hitchcock.